Hungarian mathematician; born at Nagy-Körös Nov. 3, 1846; educated at Budapest and Vienna, and at the universities of Göttingen and Heidelberg. He was professor of mathematics and theoretic physics at the University of Klausenburg from 1874 to 1886, when he was called to the School of Technology in Budapest. Since 1891 he has lectured there on analytic mechanics. 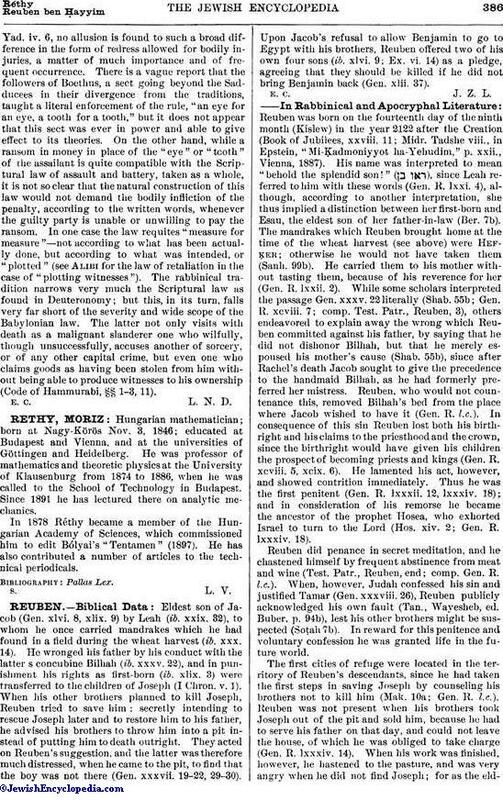 In 1878 Réthy became a member of the Hungarian Academy of Sciences, which commissioned him to edit Bólyai's "Tentamen" (1897). He has also contributed a number of articles to the technical periodicals.